Earlier this week a colleague and I visited a Raleigh area middle school to present on marine science and science careers to a group of about 40 6-8 grade kids in an after school “science explorers” group. We brought a new hands-on activity with us that we had just written over the holiday break, which we thought was simple enough, but it turned out to be a bit overwhelming for the students. The students were broken into groups and tasked with completing a simulated “reef survey.” We laid out a bunch of paper corals (or fish, depending on the group) on the ground to simulate a reef and asked the group (6 students) to work together to record the name and size of each organism. There were about 20 organisms per group. In a 30-40 minute time range, not a single group finished the exercise. It was just too much detailed work for them and they found it to be repetitive. Our goal with the activity was to get them out of their seats and moving around to reduce boredom, but our activity was too repetitive so they became easily bored. 2.) Younger students are easily bored and distracted and although activities are important (to get them up and moving), repetition should be avoided. but there are steps we can take. I’ve attempted to teach science to people ranging from age 10 to adult. Below are some of the problems I have run into along with some ideas and tips on how to avoid or solve them. These issues arise when attempting to teach the next generation of scientists as well as when trying to educate or engage the public. Jumping right into the trickiest one here. As a geology instructor I’ve run into several students who just wouldn’t listen to a word I said because I made claims that the earth was older than 6,000 years old (something on the order of 4.5 billion years old). What do you do about this? Sometimes there is nothing you can do, but what you absolutely shouldn’t do is treat them like an idiot and tell them their views are wrong (Life pro tip: If you want to have a chance to convince someone to consider your view, you should try to avoid insulting their own). Instead, simply explain that what you are teaching is not faith based. You are there to teach empirical science and that is what you are going to do. Everything you teach is based on rigorous scientific data and investigation. Encourage them to keep an open mind and try not to make it a spectacle. I think I called this “the most excruciating phrase anyone could ever utter” in a conversation yesterday. 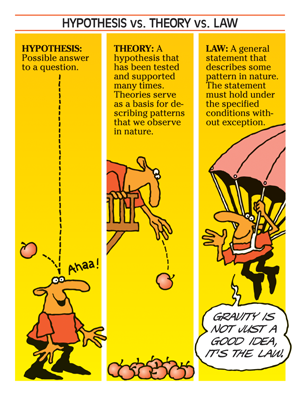 Things that are “theories” include: evolution and gravity. Yeah, they are in the same category. Both are backed by boatloads of scientific evidence and are widely considered to be “true.” I think the tricky part here is that people don’t realize that a theory is NOT a hypothesis. It helps to discuss how these two things are different very early on. Don’t bring a technical talk to a public presentation. A conference talk WILL NOT cut it at a town hall meeting or any other public lecture. Know who you are talking to before you arrive. If you aren’t sure, ask! If you are teaching this will be more difficult. One group of 7th graders may be more suited for an activity than another based on time of day, size of the class, and experience with the topic (check out this resource on learning styles). You can ask about all of these things. We have featured this idea before on several occasions. Telling a story is a great way to engage an audience and it has been shown to increase retention rates in science communication. The use of the “And, But, Therefore” method can help you reach an audience and it will help them remember your main points. 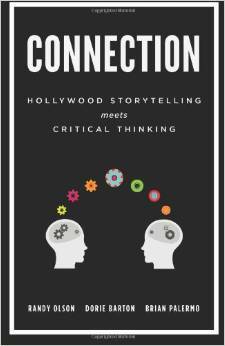 Check out Randy Olson’s book “Connection” to learn more about this. Adapting to unexpected scenarios is a great skill to have, not just for science or teaching, but for life in general. I find that it really helps to bring a versatile lesson plan. Having a complex version and a simple version of a lesson is a good start. Testing your lesson or presentation on a similar audience before using it is also very helpful. At least as a friend or colleague to look it over. 6. Stick to the point! Every now and then you are going to stumble. I know that I want to do a great job teaching or speaking every time I have the chance, but I know that I can’t always control that. Sometimes the audience is going to be different than you expect, sometimes the lesson you prepare is going to be too easy or too hard (or too boring). Often you will now know until you try. You have to start somewhere, so give it a shot. The worst thing that happens is that you learn what to improve for next time. Prepare as well as you can and see what happens. 8. Participate in science communication and education workshops. Check out national scicomm conferences like ComSciCon. Check local schools and universities for outreach opportunities (Ex: Morehead Planetarium and SciREN here in NC). Take a communications class. There are resources and courses available to help you get better at teaching and communicating science. Educating the public and sparking an interest in the next generation are two goals that we should all keep in mind! Tags: education, higher ed, Scicomm, Science, science ed. Bookmark the permalink. I’ll check out SciComm Summit. Hadn’t heard of it before. Thanks!